Thanks to the work of the Panda Idaho, an Idaho house committee passed the Restoring Constitutional Governance Act, H473, by a vote of 11-2 on February 20, 2018. This legislation, drafted by the Patriot Coalition, is the strongest in the nation as it explicitly prohibits the laws of war from being used on non-soldiers in Idaho, and Idaho citizens anywhere, and will punish any person, including Federal or international agents, who attempts to utilize those powers. The bill garnered a large number of cosponsors, including Representatives Judy Boyle, Barbara Ehardt, Priscilla Giddings, Karey Hanks, Paulette Jordan, Dorothy Moon, Ron Nate, Heather Scott, and Christy Zito. 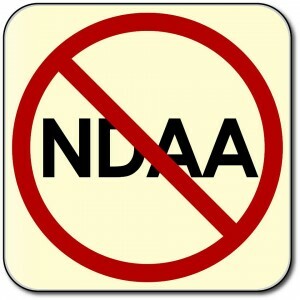 “The indefinite detention provisions of the 2012 NDAA authorize violating over half of the Bill of Rights. Legislators that don’t have time to support HB-473 don’t have time to support the Bill of Rights. As a citizen that votes, that’s all I need to know.” Said Lewis. H473 moves on to a full house vote as early as the end of this week or beginning of next week. Check PANDA’s Facebook Page for updates. ACTION ITEMS: Take steps to support H473 like contacting the representatives who have not signed on yet listed HERE.